The screenshot above came from TechCrunch Editor-in-Chief Matthew Panzarino’s personal blog, Robot Tuxedo (unfortunately, the blog seems dead). In just a single sentence, Panzarino succinctly explained why Apple charges customers the price they do — in part to fatten their bottom line, in part to offset future R&D costs, in part to please investors. Recently, there has been a huge outcry over Apple’s decision to continue offering the 16GB version of the iPhone. Even the first person in New York to get an iPhone 6s said she’s “sick” of the 16GB model when reporters asked her for a comment. If Apple’s decision to offer the choice of a 16GB iPhone is so widely hated (and keeping in mind that Apple is probably one of the most consumer-friendly companies), why does the company continue to do so? After the iPhone 5S, Apple ditched the 32GB version entirely as a choice for customers wanting to buy an iPhone, and instead, switched to the 16GB-64GB-128GB model. Now, if you were a customer who previously wanted a 32GB model, you no longer have that choice since Apple took the option away. Instead, you’re faced with the dilemma: 16GB (which is half of what you’ve planned to get) or the 64GB model. Most, out of an abundance of caution, would pick the 64GB so they don’t run out of storage and get the dreaded window that tells them they’re out of storage space midway through their contract. 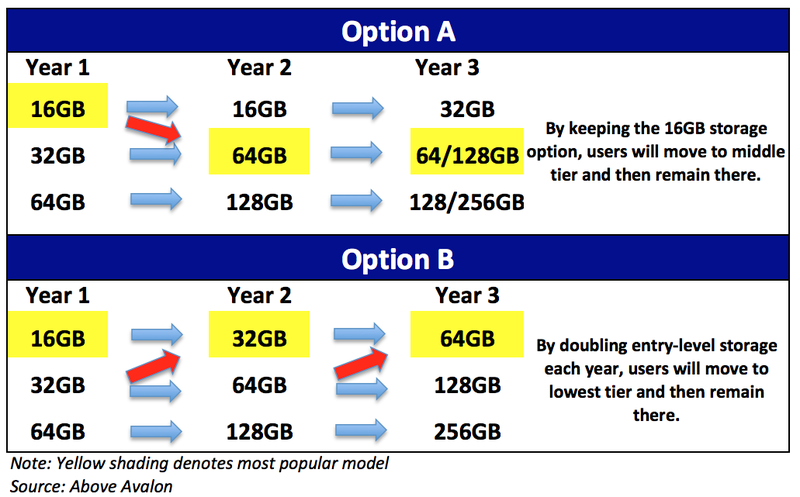 By forcing the 32GB customers to pick the 64GB option, Apple was — very conveniently — able to increase the iPhone’s ASP (average selling price) and margins (remember: while each step up the storage tier cost customers $100, it costs Apple only ~$10 in parts). Investors loved this. 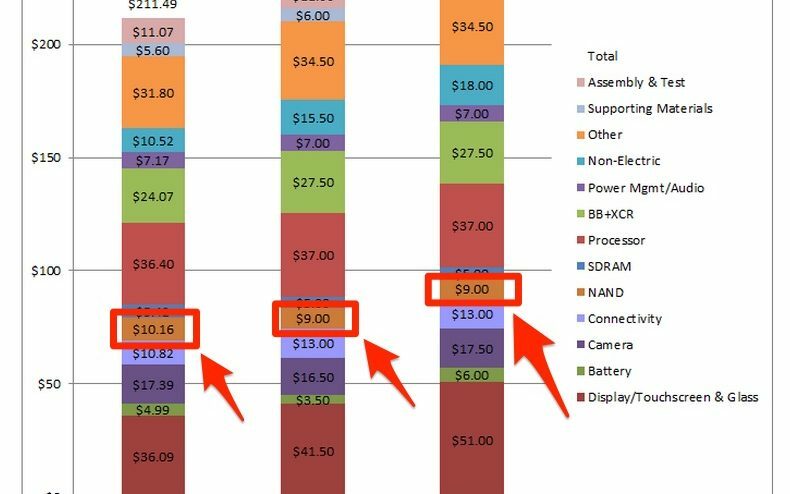 And this is also why, despite all of Apple’s other innovations, investors still consider the iPhone product line not only Apple’s cash cow, but also a magical product (I dare say that there’s no other consumer technology product in the world that can compete with the iPhone’s profit margins at the scale that Apple is selling it). Translation: once customers (who originally wanted the 32GB model) get used to the 64GB version, they’re going to buy the 64GB version again the next time they buy an iPhone since they’re already used to that storage allotment and price point. 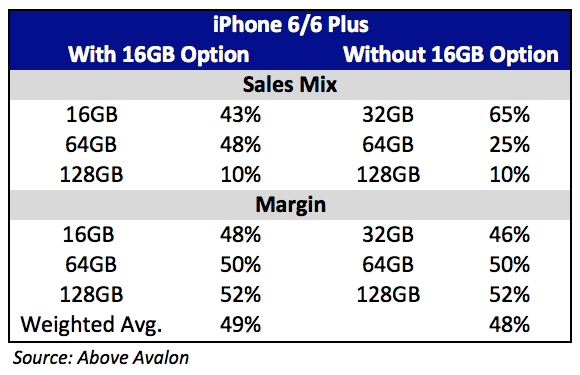 Based on the iPhone 6/6 Plus models (not 6S), Apple’s ASP (something Wall St. analysts focus on to justify their recommendations/price targets) for the 16GB/64GB/128GB mix is around $690, compared to just $670 for a theoretical 32GB/64GB/128GB mix. 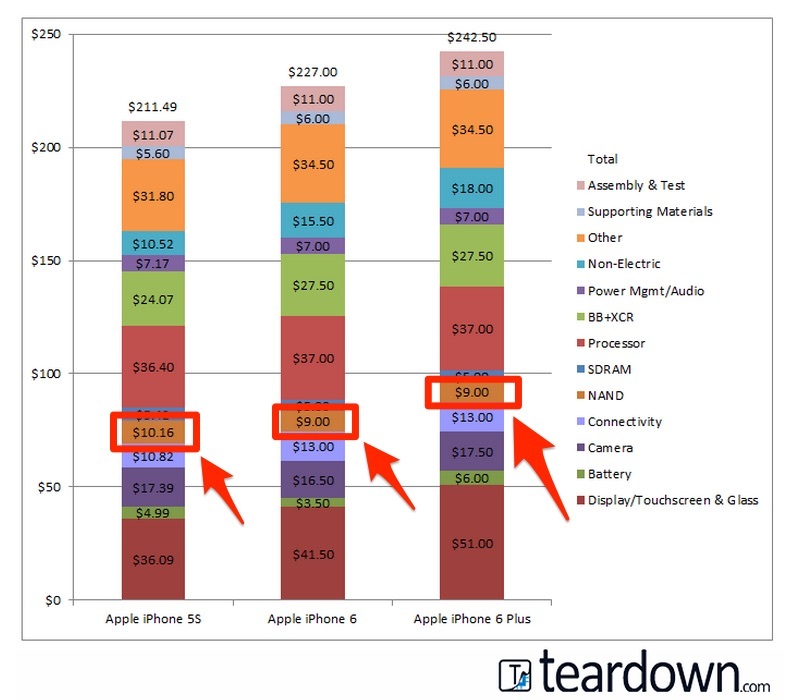 If Apple decides to make the baseline iPhone 32GB instead of the current 16GB, they stand to lose around $3 billion. That’s $3 billion in easy money.